This pretty pink bottle is Skin79 Dear Rose BB Cream which I got from BonBonCosme shop. I have tried Skin79 BB creams before and I really like them. But this one is said to be different from the rest of Skin79 BB Creams. This one has a totally different and upgraded formula with whitening effect and wrinkle improvement as well as high UV protection, so I'm really curious to find out how good it is. First of all, let's just appreciate the beauty of the pink packaging, shall we? The design is so romantic and girly. The bottle has 35 grams of product inside and it has a pumping system with some kind of nozzle at the center top to pump the product out. This super premium Skin79 Dear Rose BB Cream is said to have an enhanced formula made with French organic roses and plant extracts as well as high minerals and SPF 43 PA+++. It is also said to have a formula that gives moisture and does not clog pores. Lastly, they claim it's suitable for all skin types even for sensitive skin. The texture itself is like a regular bb cream and it has a brown-ish color to it. NOTE: When I first applied it on my skin it looks like I just put on a white mask. But don't be afraid of how "white" it looks, because you just have to let it set into your skin first. Just keep blending it out on your skin (using your finger or brush) and it will automatically blends in with the color of your skin, resulting in a natural looking skin with brighter and smoother finish. Once it blends nicely with my skin it looks like I have soft dewy skin. 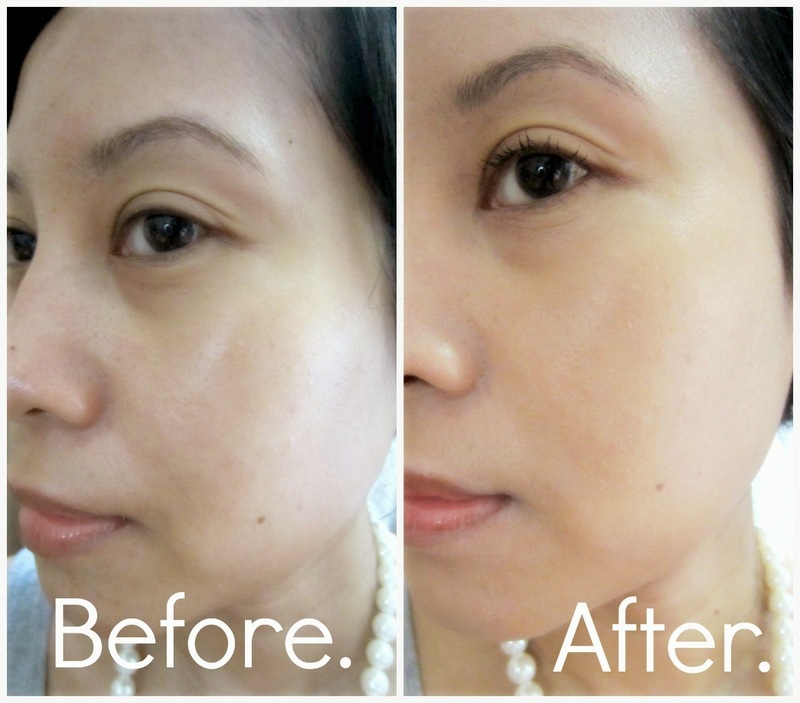 I really love the result as it brings brighter complexion as well as smoother skin. My makeup also runs smoothly and the BB Cream helps keep my makeup stays on. The most amazing thing is it didn't melt on my skin when I spent a day outside on a hot day, and when I splash my face with water the bb cream stays intact! That means I can wear it on a rainy day because I think it's pretty much "rain-proof" ;) That's quite remarkable, especially with my oily combination skin. As you can see, I think the result is quite fantastic. That's just only from one pump of product! My face looks slightly dewy but does not look or feel oily. 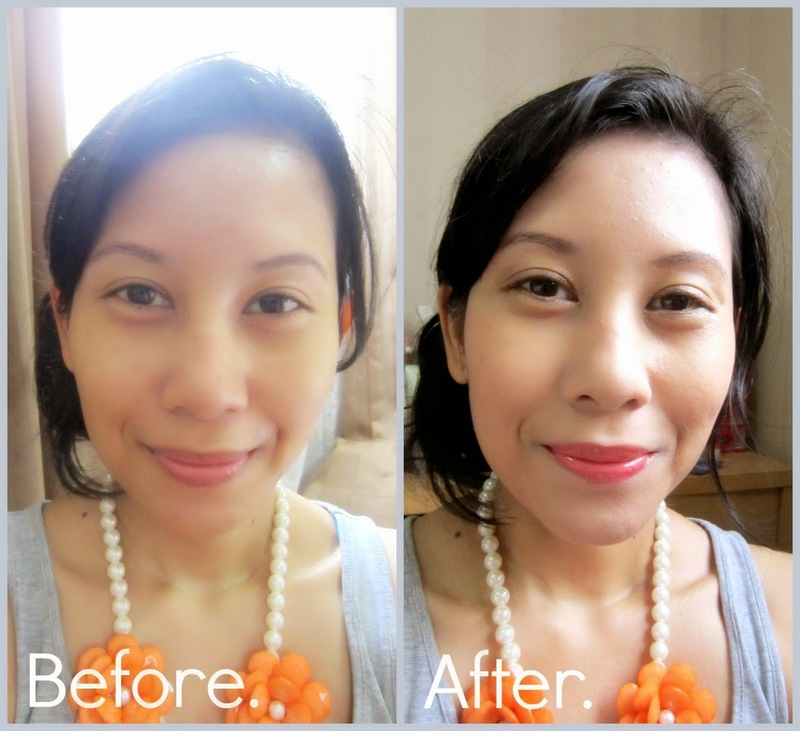 It also looks smooth and brighter, and it covers my imperfection quite well without feeling heavy. If you need more coverage then just add another layer, but for me this is good enough for my daily light makeup. Overall, I really like this BB Cream and would definitely recommend it. I practically use this as my daily face base now. It's light yet gives so much good results. If you want to try it out you can buy it at BonBonCosme shop for a discount price!